Working backwards sounds like a bad idea. It sounds like it would be the opposite of making headway. Actually, it’s a pretty common method for projecting and creating marketing plans. I just call it working backwards because that’s the picture I have in my mind. When I first started managing Pete—at our very first meeting—I asked him a lot of questions. “As a performer, what would make you feel successful? How much do you want to tour? What kind of recognition is meaningful to you?” He had obviously pondered all those things already, but he hadn’t necessarily had to quantify them. So, he spent some time thinking about the questions, answered them for me, and based on those targets, I “worked backwards” to calculate the path to what I hoped would be a successful career. Each time we hit a target, it was cause for celebration. Sometimes we missed the target and would re-group. Sometimes we’d lose interest in a target and set it aside. Regardless, it was exciting and challenging, and success could be so sweet. The first time I caught wind that Eric Clapton was going to host a guitar festival in Dallas, TX, that became a goal for me. Pete had to be a part of that event. I locked in on the target, plotted my course in descending order, and then got to work. We were successful, and Pete participated in not only the first Crossroads Guitar Festival, but also the two after that. I wish that I could say it worked that well every time. It didn’t. But that’s what kept us going. What was the next goal? 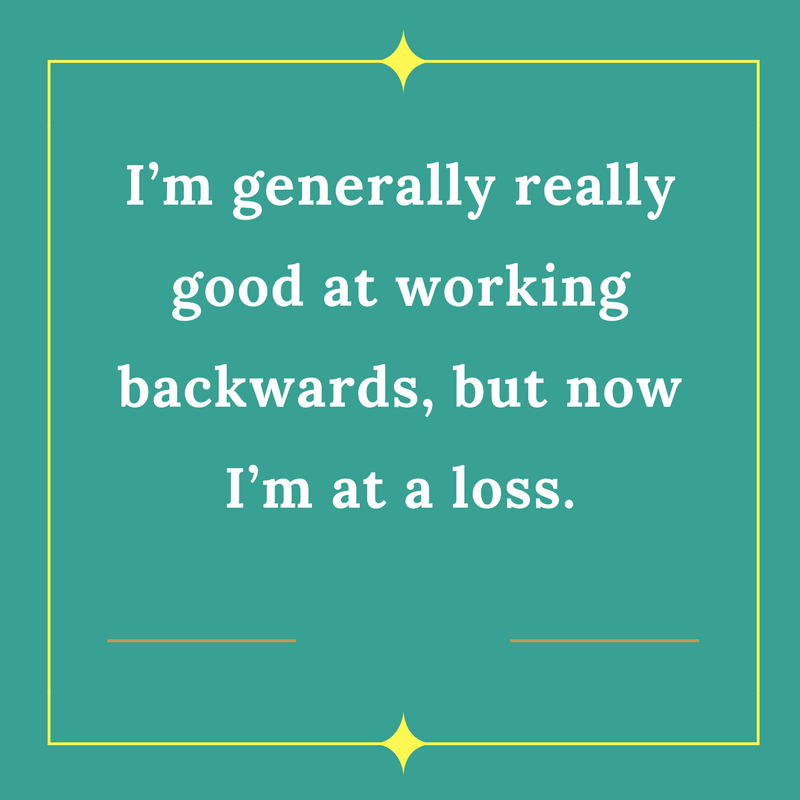 I’m generally really good at working backwards, but now I’m at a loss. My work, my life—a lot of it has been based on this theory of setting a goal, then figuring out the actual steps, one at a time, to get there. I thrive in that environment. Now, I have no idea what my goals are–at least the creative and life goals. I do know that I want to stay alive, and I want to be a good mom. Those are kind of a given, and I don’t have to think too much about it. I find it quite difficult through the fog and anxiety (yes, it’s still there) to really latch on to huge goals as I’m accustomed. I guess they were just all connected to Pete and without him there’s just a lot of wide open space. I do have smaller goals: 1) do good work 2) help others 3) breathe in AND out–but just not those thrilling, exciting, challenging, planning, could-take-years-to-achieve kind of goals. It adds to that treadmill aspect of everyday life and it’s really taking some getting used to. How has your goal-setting changed as you move through grief?